In this blog post, we explain how we extended Episerver to meet some functional requirements and improve the CMS editors' experience of working with images. In Episerver, ImageData is a base class that inherits from EPiServer.Core.MediaData and provides a Content Type to handle any type of image. 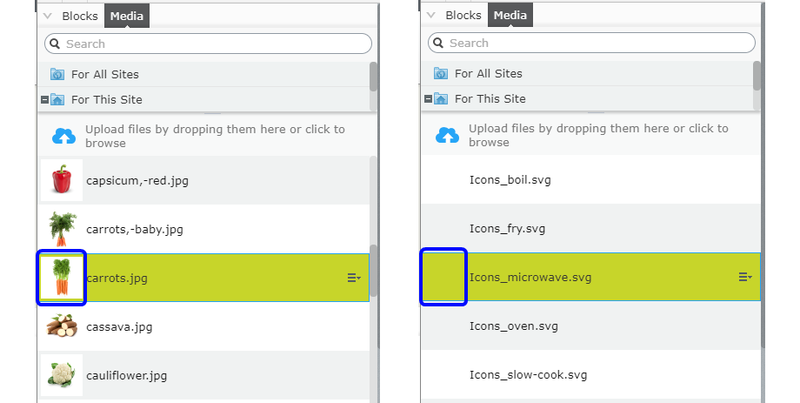 When a CMS editor uploads an image in Episerver DXC, the image is stored in Azure Blob storage and Episerver generates a thumbnail to help the CMS editor select images from the Media tab. We needed to add metadata to images. To do this we created a new class that inherits from ImageData called ImageFile. You might have noticed we also implemented an interface called IContentMediaMetaData. 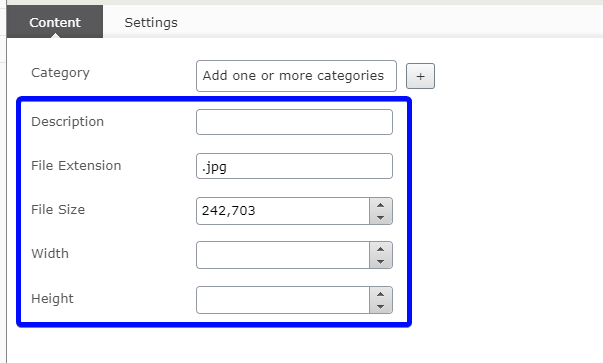 We wanted to add some metadata fields to all our media, not just images, but you could choose to omit this interface. Once this was done, we just had to upload an image in the CMS and our metadata fields were available. We're always trying to reduce unnecessary CMS editor data entry. The only field we really need a human to manually populate is the Description field. 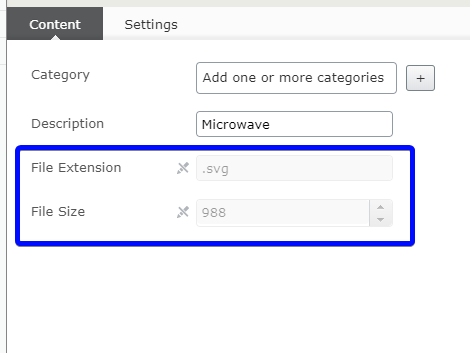 So we added some helper methods to automatically populate the File Size, File Extension, Width and Height fields and added an InitializationModule with CreatingContent and SavingContent event handlers to set these field values. Now when we upload or even edit an image with the built-in Image Editor, our helper methods will automatically populate the metadata fields. With this automated, we decided to make these fields read only by adding the Attribute [Editable(false)] to the Properties in our ImageFile class. If you noticed the MediaDescriptor ExtensionString list on our ImageFile class, you maybe thinking you could just add svg to the list like this... We tried this too! While this did allow SVGs to be handled by the ImageFile class, it did present some issues with both thumbnail generation and metadata generation. Regardless of whether it's a Vector or Raster based image, Episerver will attempt to generate a thumbnail when you upload it. However, in the case of SVGs (vectors), the concept of a thumbnail is not relevant because they are already a scalable object. Episerver generates an empty thumbnail, but we really want it to use the original SVG. The following image shows JPG thumbnails compared to SVG thumbnails. Similarly, as they are infinitely scalable, Width and Height are not relevant for an SVG. To solve these issues, we added another new Class called VectorImageFile to specifically support vector images, but don't worry, it inherits from the ImageFile class we created previously. /// Gets the generated thumbnail for this media. Take note of the Public Override Blob Thumbnail. As the name suggests, this overrides the base class and returns the BinaryData of the actual SVG rather than a generated thumbnail. So how does all this look in the CMS? Now that the Width and Height fields are not longer being automatically populated, we wanted to hide them, so we were able to simply override them in the Class definition and add a [ScaffoldColumn(false)] or [Ignore] attribute to the Properties. 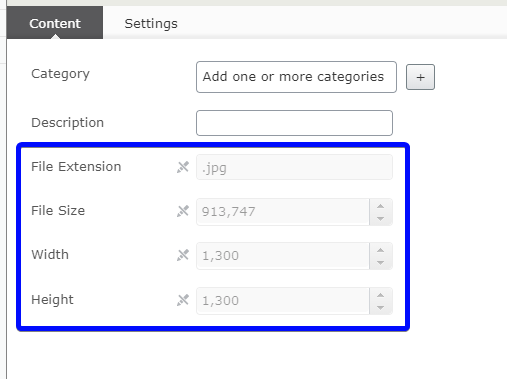 In this blog post we have covered how we have improved the CMS editors' experience when working with raster and vector images in Episerver, and how we extended the ImageData base class include and generate data for Metadata fields. We also added a VectorImage class to allow the CMS to display SVG thumbnails. 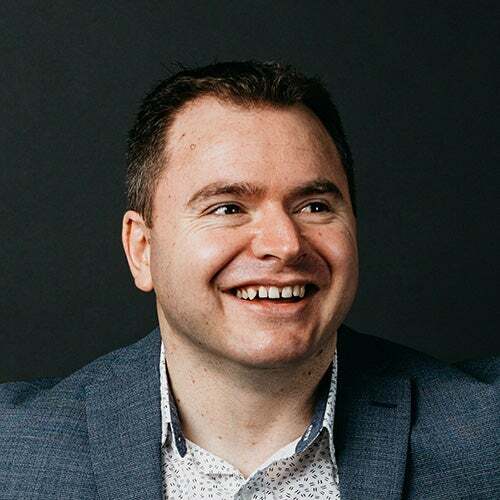 Need an agency with Episerver expertise?